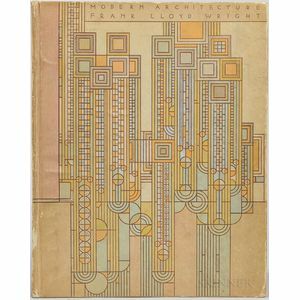 Wright, Frank Lloyd (1867-1959) Modern Architecture, Being the Kahn Lectures for 1930. Princeton: Princeton University Press, 1931. 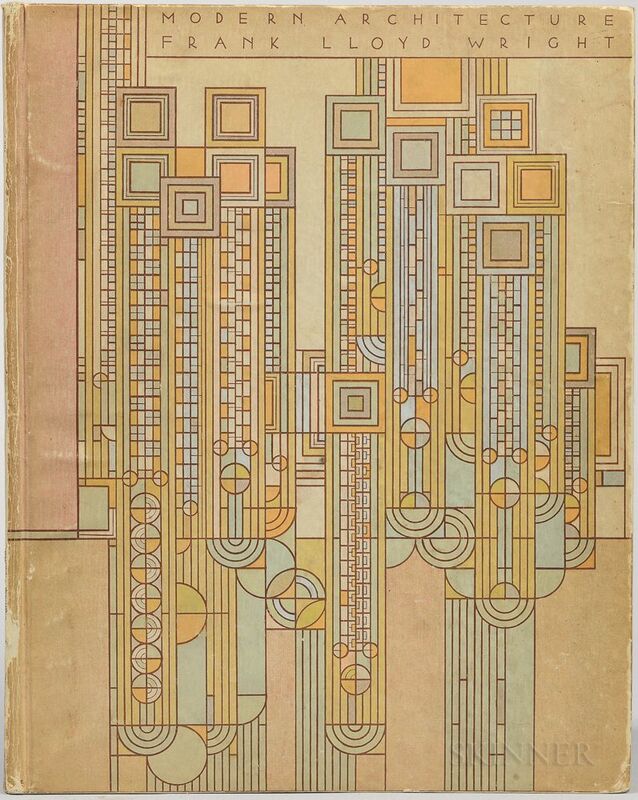 First edition of Wright's first published work, large quarto, polychrome decorated paper over boards with a colorful Wright design, illustrated with portrait frontispiece and six plates, binding slightly rubbed, toned, 10 1/2 x 8 in.